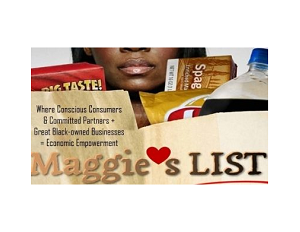 Author, activist, and conscious commerce expert Maggie Anderson, who lived exclusively off black businesses for anÂ entire year in 2009, has announced a new venture called MAGGIESLIST.com. Â An empowerment resource, it utilizes technology and social media to empower the black community through conscientious and collaborative commerce. 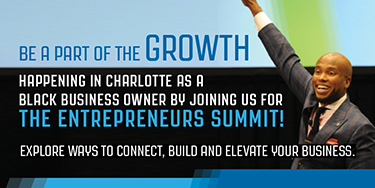 The website, built by iSwop Networks, targets consumers whose habits, attitudes, and moral compass drive a duty and desire not only to buy from black-owned businesses but from institutions committed to supporting economic growth in the black community. Anderson is best known for her family’s history-making and highly publicized stand and economic experiment to spend an entire year purchasing goods and services only from black-owned businesses. ‘This Empowerment Experiment’ is chronicled in her book Our Black Year — One Family’s Quest to Buy Black in America’s Racially Divided Economy. Another major output of the experiment was the Northwestern University’sÂ Kellogg Graduate School of Management’s study. The Kellogg study proved that nearly 1 million new jobs could be created if middle-class African American consumers would increase their spending within their community from the current 3% to 10%. Out of that book and study, MAGGIESLIST.com was born. According to a released statement, the foundation for MAGGIESLIST.com is the same as for Anderson’s extreme and, for some, controversial ‘Rosa Parks-ian’ stand–a cry for individual accountability and collective action toward resolving social ills disproportionately impacting the black community. “I made that sacrifice and bring MaggiesList.com now to prove that there are so many wonderful black-owned businesses out there, that we are not, shamefully, supporting them enough. And most of all, that we can counter poverty, recidivism, and violence; and create jobs, role models, and self-sustained neighborhoods just by supporting them a little more,” states Anderson. To that end, MAGGIESLIST.comÂ wants to inspire, facilitate, and track such increased spending, the social and financial impact on underserved communities, progress toward curingÂ racial divides and disparities, and job creation. Broderick Byers, CEO of iSwop NetworksÂ and managing partner of MAGGIESLIST.com, intends for the website to be the leading, innovative and transformational company in how conscious commerce is conducted and in facilitating increased economic activity, financial freedom and entrepreneurial excellence in the black community, according to the press statement. “Maggie’s year brought intelligence and inspiration. Now MaggiesList.com harnesses the power of technology and social media to empower our community through conscious commerce and business development. That is why we will work hard to earn your trust, delivering actionable content, special offers, reputable local business, as well as black suppliers, franchisees, agents, independent reps, and black-manufactured products enabled by our partner brands and retailers,” added Byers. MAGGIESLIST.com is now registering users, businesses, advertisers, sponsors, and partners.